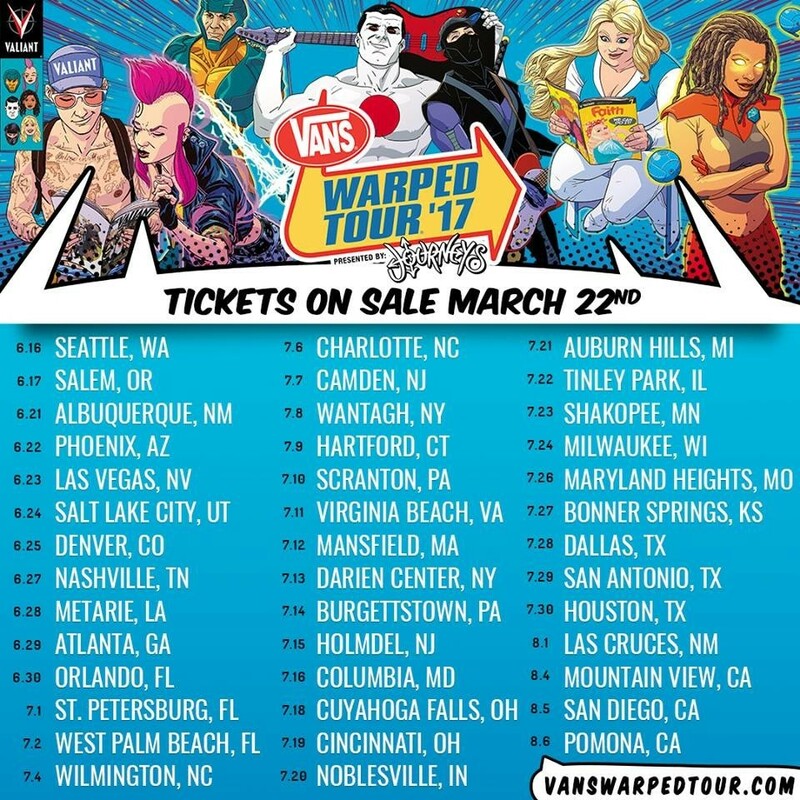 Andy Black plus members of Neck Deep, Beartooth, New Years Day and loads more will give talks on Warped Tour! They'll be holding TEI workshops throughout the summer touring extravaganza. The theme of Andy's workshops will be Think For Yourself. “I believe in connection for the sake of growth, and the workshops I’m offering all summer on Vans Warped Tour with TEI are the perfect example of such connections," he's explained. Ash Costello of New Years Day will be speaking about how to Harness Your Confidence To Reach Your Goals. "I wish this had been available when I was a teenager starting on the journey to chase my dreams," she commented. "Self confidence and fear play large roles in younger students' ability and motivation to conquer their goals. I have learned so much in my decade in the music industry that I have a major desire to share!" Should be some fascinating stuff there. You can check out the full range of workshops here, and this year's Warped Tour line up here.